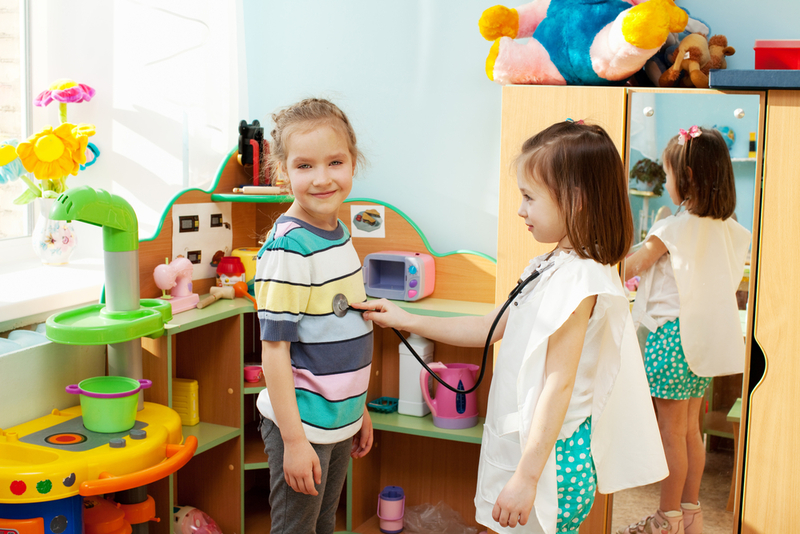 How do you know your kid is receiving the right combination of stimulation in child care? The dangers of too much screen time have been widely discussed, but what constitutes the balance of activities for your child? With several centers located across Wisconsin, Red Balloon Early Learning Centers delivers the right mix of educational enrichment, play time, and social interaction to enhance your child’s overall development. Kids come to daycare to learn, so an educational outlook is essential to your child’s progress. Setting aside time for learning is the mark of a balanced child care center. Red Balloon Early Learning Centers explores a host of subjects to augment learning, like music, math, science, and language. While formal education is important, especially as it prepares kids for the structure of school, play is also critical for a child’s holistic development. Playing can be considered free learning, as children pursue what interests them. One of the great opportunities daycare presents is allowing children to socialize with other kids their age. Red Balloon Early Learning Centers offers programs for children in three age ranges: infant and toddler, preschool, and school age. Children will have the opportunity to learn not just from teachers but also from each other. A balanced child care center promotes a balanced lifestyle for both parents and children. The well-trained staff at Red Balloon Early Learning Centers will help shape well-adjusted children through an even-handed approach. For questions and locations, check them out online or call (608) 781-3550.